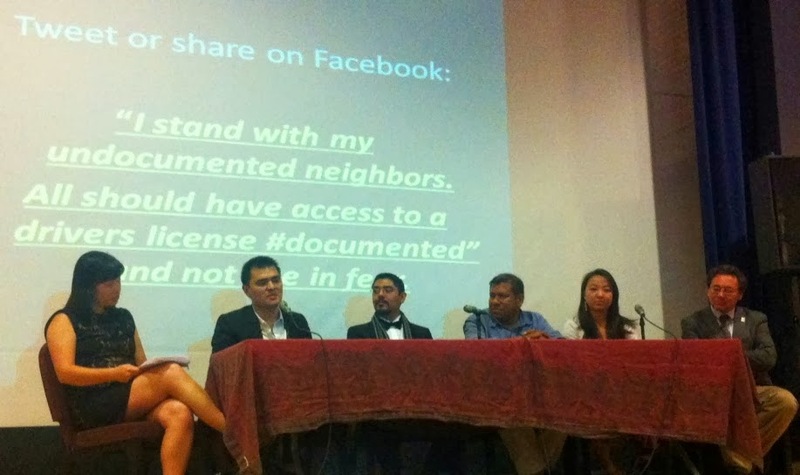 SACRAMENTO- The Guild Theater was host to the second private screening of Jose Antonio Vargas' documentary Undocumented Tuesday evening, October 8, with its first held in San Francisco in August. Jose Antonio Vargas has lived in America since the age of 12 in Silicon Valley. His grandparents raised him until moving to San Francisco then New York to continue his career as a Journalist. Vargas and several of his colleagues would later earned a Pulitzer Prize Award through coverage of the Virginia Tech shooting in 2007. However, unbeknownst to the people he worked for and met, he had a very dark secret: he was living as an undocumented immigrant. Undocumented is shot in multiple locations, but primarily shot in: New York City, Mountain View, California, and a small village in the Philippines called Antipolo. It starts with the establishment of his organization Define American, then follows his journey of speaking at various college campuses, Latino mothers of undocumented families, and experiencing Vargas' disappointments and victories throughout. Audiences witness Vargas testifying before congress, addressing other DREAMers, and are even invited to discover the rocky relationship he and his mother share. She remains in the Philippines and has not seen him since his departure 20 years ago. An emotionally wrought yet passionately charged film bound to bring tears to your eyes, is not what Vargas has in mind for his audience. "So often we're treated as abstractions, faceless, and nameless-subjects of debate rather than individuals with families, hopes, fears, and dreams..." he says a scene while testifying before members of Congress. Beyond himself, he fights to bring more illustrations of people with stories of strife, and force Congress to realize the humanity behind such a hot-button issue. He goes on to say, "We have so politicized this issue for so long, we have forgotten the humanity in it. And I think that's what we need to come back to... so much so that it transcends languages and it transcends cultures. That in many ways strikes at the heart of who we are as a country." A panel discussion with speakers of leaders in immigration organizations included Sergio Garcia, who recently fought for Gov. Brown to sign AB1024. Vargas expressed how he fought his partners on including his mother in the film. "I can barely handle it, much less give it to you and when I say this... the question I had to ask myself was 'How do I tell the story in the most universal, accessible way I could?' Never mind my own pain." Discussion leading to the Trust Act, Dean Kevin Johnson of UC Davis Law says, "It's important to remember the Trust Act is in response to the Obama Administration's Secured Communities Program which is the result of deportation of roughly 400,000 a year," He goes onto say, "This administration has deported more people in than any other in United States History." Moving forward May Liang, Campaign Organizer for ASPIRE, Asian Students Promoting Immigrant Rights Through Education suggests, "one of the things [people] can do is talk to your friends and family, get online, see what's happening in your local community in terms of people deported to spread the word and support those rallies." Word on whether the film will be screened in other location are to be announced at a later date. 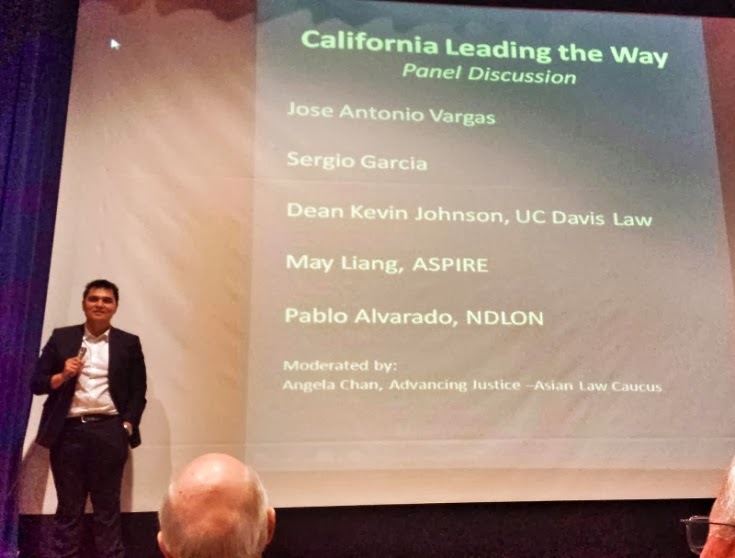 If you'd like to learn how you'd like to join Jose's or the other panelists' fight you can visit the following websites: ASPIRE, National Day Laborer Organizing Network, Define American.